About SFNR Schoenberg Finkel Newman & Rosenberg, LLC (SFNR) has deep roots in Chicago, and has delivered on the firm's founding promise to our clients: to develop long-lasting relationships based on trust, communication and responsiveness, paired with exceptional legal counsel. It is our belief that top-quality legal counsel should be available at a fair price. That's why we proudly work smart and efficiently, with low overhead costs, in order to offer a highly competitive and creative fee structure for our clients. We listen to our clients' objectives and concerns, and aggressively protect their interests. SFNR clients range from public corporations to entrepreneurial individuals, with an emphasis on representing small to mid-sized businesses. Each of our practice areas is staffed by lawyers with impeccable credentials and a proven record of success. Our legal services include corporate law, litigation, employee benefits, estate planning and probate, health and fitness club representation, independent manufacturers' representatives, taxation, mergers, acquisitions and business sales, real estate tax reduction, and labor and employment. Practice Areas: SFNR is a full service business law firm, offering a diverse range of legal services to meet the unique and ever-changing needs of our clients. Our talented and seasoned attorneys excel in their specialized areas of law, and also bring a sound knowledge of our other practice areas in order to best represent our clients. 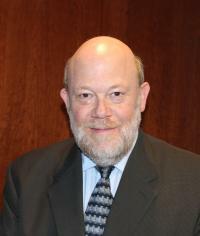 Since joining Schoenberg Finkel Newman & Rosenberg, LLC in 1979, Dan has been involved in most areas of business law. Although a partner in the Firm's Litigation Department, Dan's practice more closely resembles that of a general practitioner. He uses his knowledge of, and experience in, many diverse areas of law in crafting solutions to the wide array of legal problems and issues that confront the Firm's clients. Dan handles most types of business and commercial-related litigation, including such specialized areas as mechanic's lien claims and landlord/tenant cases. His practice has a special emphasis on counseling independent sales representatives and their trade associations on legal matters unique to their industry, including drafting of sales representative agreements, designing succession plans, and pursuing collection actions. In numerous cases around the country, Dan has successfully recovered millions of dollars of unpaid commissions due sales representatives. Dan is admitted to practice before the Illinois Bar, the United States District Court for the Northern District of Illinois and the U.S. Court of Appeals for the Seventh Circuit. He also has been admitted to handle cases in numerous other state and federal courts throughout the country.